Chris: Who are Tequila Software, what have you guys done previously, and how did you yourself come to be the head-honcho? Tequila Software are a UK based Computer games company, we formed Tequila Software back at the end of last year. Tom Francis, David Wilson, and myself have a loving obsession for computer games, and we wanted to design our own. we began to develop small programs and games, we finally ended up designing levels for Quake 2. We have for the last 9 months designed "Unseen" for Quake 2. I was selected to be the head honcho as I have all the business know how. Chris: What background do you and the other members of Tequila have in the industry, or was this a new thing for you? We are kinda new to this joint, but we do have vast knowledge now, though we would like to expand that even more. We felt we wanted to do something different and creative, something for the gamers to enjoy, after all, as we are gamers ourselves, we know what gamers look for in a game. Its all well and good sitting in an office coding away, not seeing the light of day, and making a product.. But at the end of the day we will ask the gamers online what they think of our ideas and give us their responses and if they don't like the ideas, they will come out of the games. We believe as a company we can give gamers something new. Chris: What made the team decide to create an addon for Blood2? Tom is actually the Blood 2 mascot, I know it sounds a bit weird, but he's good friends with Shade and he's submitted ideas which were in the plasma pak and also in blood 2. Tom and I loved Blood, we've followed through and well we decided to make an addon because we like the game, and we'd like to expand on the plot and continue it to make gamers get the best out of Blood 2. Chris: Can you reveal any info about the storyline the add-on pack will take? During the reformation of the Cabal after Tchernobogs eleventh incarnation was destroyed, a cult by the name of the Krest began to form within the Cabal. As Gideon came to power within the new Cabalco and began his obsessive hunting of Caleb, the Krest split off, believing Gideons obsession to be misguided and dangerous. As the Krest developed and grew outside the Cabal, they overran an entire city to use for their own headquarters. Soon, Caleb destroyed Gideon and took the entire Cabal for himself, infested with the presence of Tchernobog. The high council, leaders of the Krest, immediately saw that the new Cabal was a threat to the cult, and realised that Caleb must be destroyed and Tchernobog banished, or better, instated into a Krest member, giving the Krest control over the entire Cabal. A Krest member named Cain was selected to be the new host for Tchernobog, and to take over the Cabal in order to control it as the Krest high council wished. Caleb was captur	ed by an elite team of Krest gunmen and taken to a huge downtown warehouse where the rituals to excorsise Tchernobog from him could be conducted. Chris: What new stuff will the addon pack be bringing to Blood2? 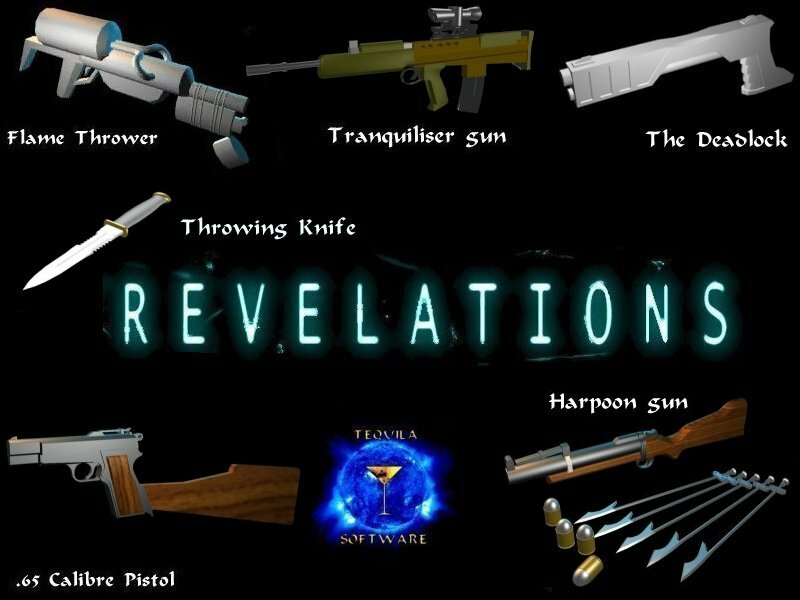 How many new weapons and maps do you plan to create for the project at this stage? There will be 16 new levels, 5 new weapons, 5 new enemies and 4 new spells. I'm sure you'll like the weapon designs. Check out some early screens of them here. Chris: Will there be any code advantages to the addon (aside from the weapons, enemies and spells) I'm talking about what everyone yearns for here, more gore!? Chris: Is the pack going to be officially endorsed by Monolith, and what are your plans for mainstream distribution? We have passed the info through James Wilson, and he's "preliminarily ok'd" it, and passed us on to the guy who handles the deals, we are creating the pack to top quality, with the intention of having it as an official product, but whether Monolith accept it is another thing, we just hope they like it enough. Chris: What sort of time scale are we looking at here, any best guess's on when your going to be done? Well I'd give you a rough timeline of 4 to 5 months. Which would be right, as Monolith are doing their Blood 2 mission pack, then if ours comes out after that, it should be well timed.